As you can probably tell from the photo above, Nicole has passed Kitty Bootcamp with flying colours! 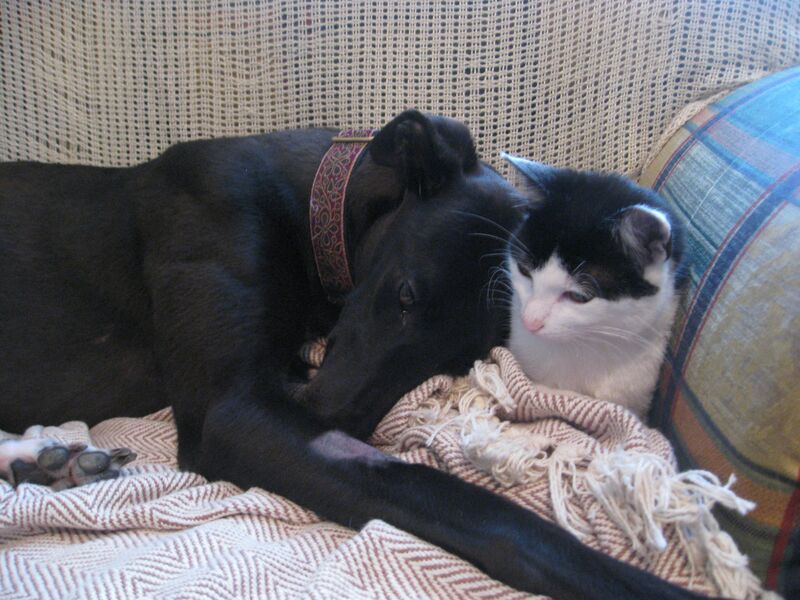 She has been very gentle and patient with the cats, especially Sweet Pea who is pretty full-on when it comes to greyhound lovin’ and can be rather overwhelming. The real test with the cats however, is Penny, who is much more reserved and will only interact with a dog when she feels quite comfortable and safe. In the past week, I have seen her brush up against Nicole’s legs and sleep in proximity to her on the bed, though not cuddled up as closely as Sweet Pea can usually be found. Nicole is still working on developing her confidence, though she has definitely made progress over the past week. My sister has been visiting from Canada for a few days so it was a good chance for her to get used to having another person around, which has also helped to bring her out of her shell. She’s starting to play a little bit and become more animated around the house, however going for walks outside is still quite stressful for her, so we are gradually working on reducing her anxiety. 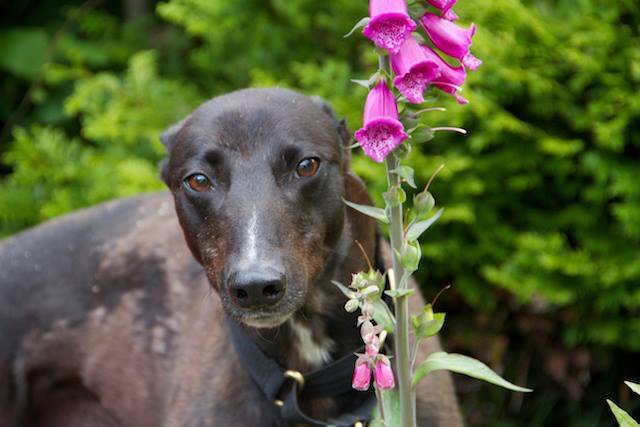 Nicole is most likely going to adopted to a home with a second greyhound, so we are taking on another black HUG boy named Callum (seen below) who will be her new foster brother. 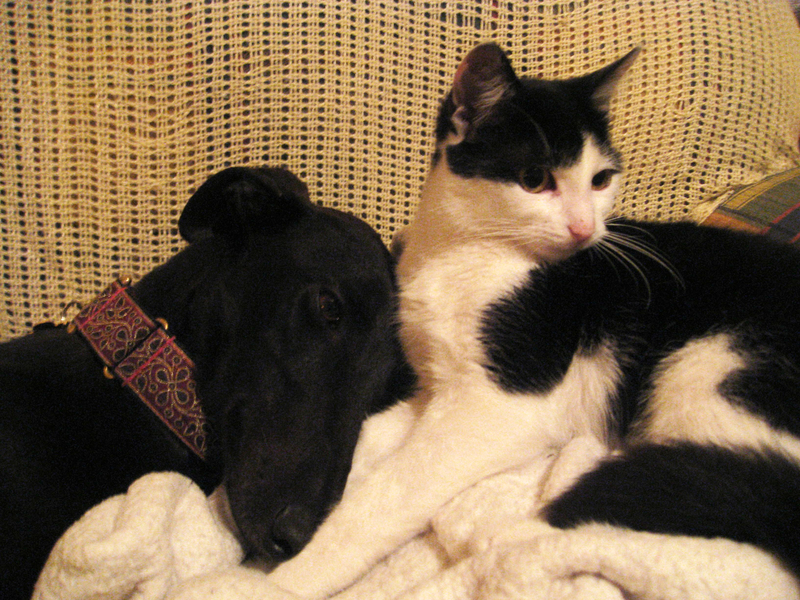 If Callum and Nicole get along, and he does okay with the cats, then they will be going to a new home together. Callum is four years old and an easy-going boy, more confident and outgoing than Nicole, so I’m hopeful that he will be a positive influence to help her deal with the big, bad scary world out there. Stay tuned for double kitty bootcamp next week!